Volkswagen in Morocco : No decision has been taken yet according to the German automaker - The Maghreb Times ! In an article published Thursday, 20th of September, online newspaper Maghreb Confidential reported, citing well-informed sources, that German automaker Volkswagen is «going to build a plant in Morocco». 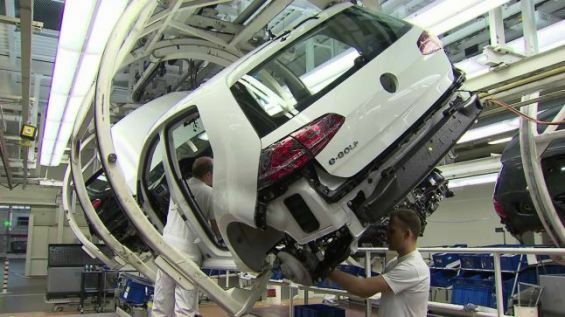 «Representatives from the German firm contacted several Moroccan banks to negotiate the financing of their potential assembly plant after Renault in Tangier and PSA Peugeot Citroen in Kenitra», wrote the newspaper quoted by Le Desk. It added that Volkswagen sought the help of «Societe Generale, CitiBank Maghreb, and other Moroccan financial institutions to accompany some aspects of the plant’s implementation study». «The investor is mainly working on spotting the factory’s future location, and the potential suppliers», said the same source. Morocco was waiting for the «arrival of Volkswagen since 2011», recalls the newspaper, stressing that the German firm settled down in the Maghreb in July 2017 through a facility in Algeria, which assembles vehicles. On Saturday, Welovebuzz also reported the same information. It announced that «the car firm is in the process of finalizing its business plan in Morocco», noting that it «will be an assembly plant». Sources in the Ministry of Industry, Investment, Trade and Digital Economy say they are not aware of Volkswagen’s new projects in Morocco. But it would still be early to comment on the initiative. Contacted by Yabiladi, the manufacturer did not directly deny the rumors. «The Volkswagen Group pursues a global growth strategy and we aspire to strengthen our brand position in each market», says an authorized source in Volkswagen’s purchasing and production department.